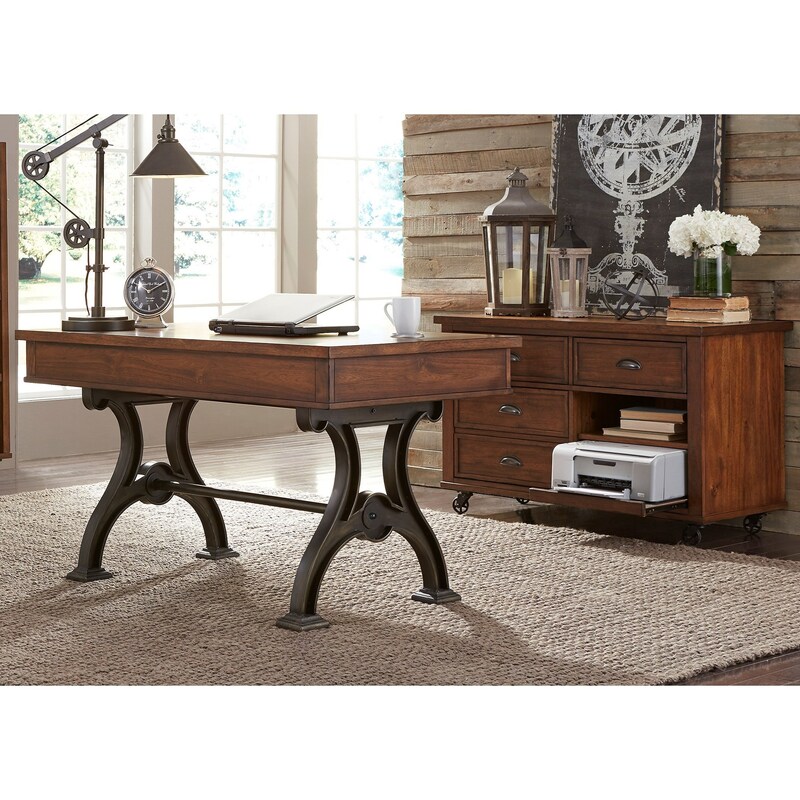 This traditional writing desk and credenza set adds an elegant working space to your home office. The desk is highlighted by a beautiful double pedestal base and features three fully-finished dovetail drawers with full extension metal side glides including a flip down keyboard tray. The credenza features additional drawers and a pull out printer shelf. 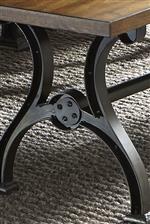 Completed with antique pewter hardware, this set will transform your home office setting. The Arlington Writing Desk and Credenza Set by Liberty Furniture at Zak's Home in the Tri-Cities, Johnson City, Tennessee area. Product availability may vary. Contact us for the most current availability on this product.